Our first show of Bridal Fashion Week this month in New York was the presentation of the new Claire Pettibone Romantique collection, called "Into the Sunset." 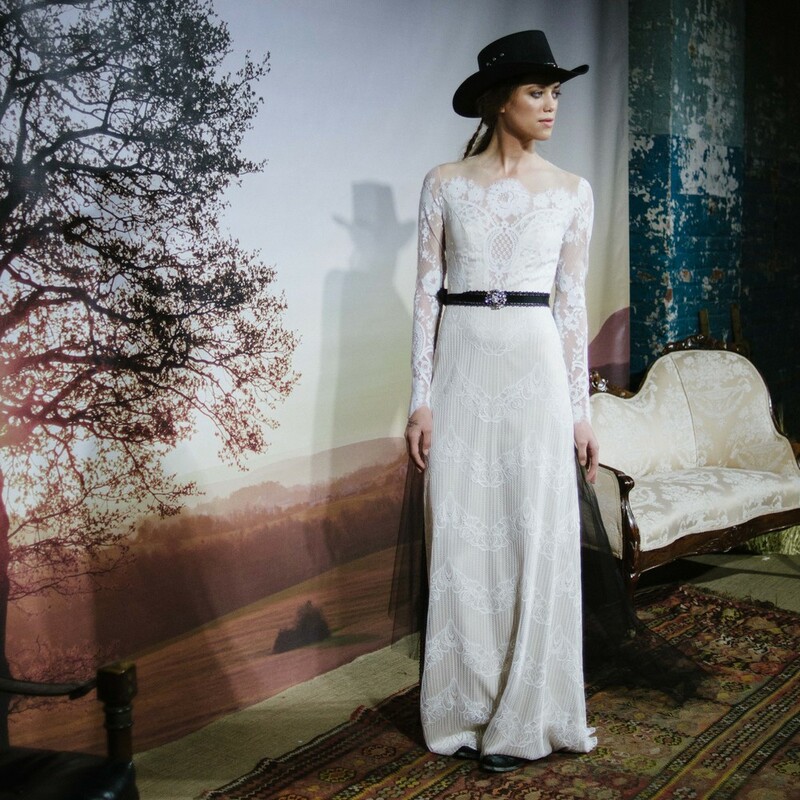 In place of a runway show, Claire Pettibone showcased the beautiful new collection with models walking between a vast studio space and western-themed vignettes, then converging all together for a gorgeous photo op with Claire Pettibone herself. These dresses are simply lovely, so well priced (all under $3,000! ), and just perfect for Colorado brides - whether or not they're having a country wedding. 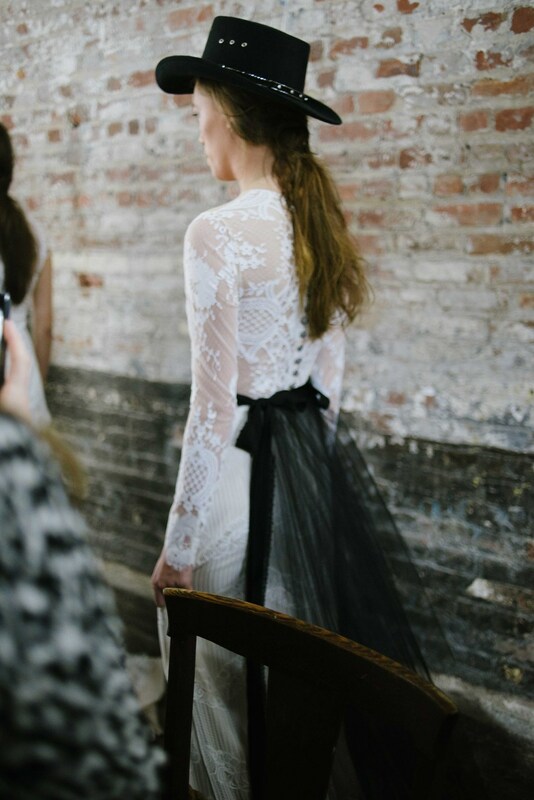 In Claire's words, "Vintage lace, a nod to pioneer style, accented with a touch of bandit black. The untamed romance of the old west... land of windblown prairies and endless possibilities, tells a tale of true Romantique love." We can't wait to have these gowns at Little White Dress in Denver this fall! After the show we got a close-up look at the collections so we could decide which gowns to bring to Little White Dress! 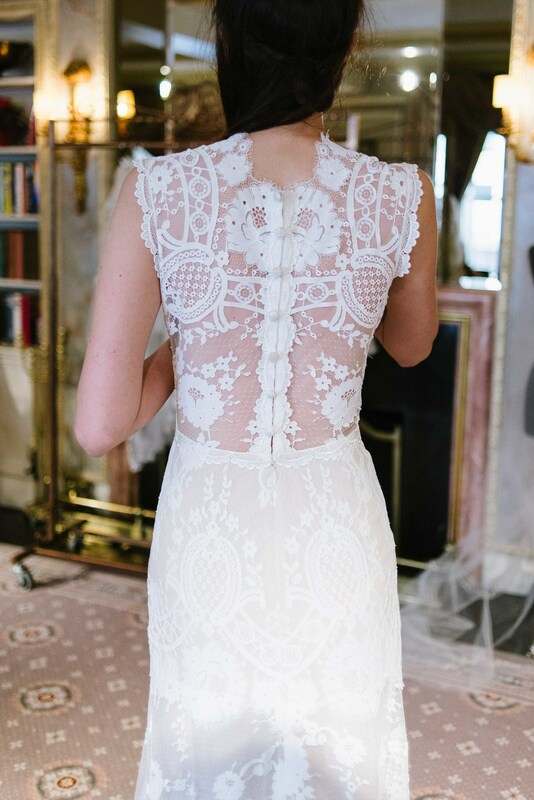 Claire Pettibone is known for her exquisite laces and detailing, and these gowns are no exception to her artistry. We can't wait to show these beautiful dresses with our brides when they arrive in store this fall! 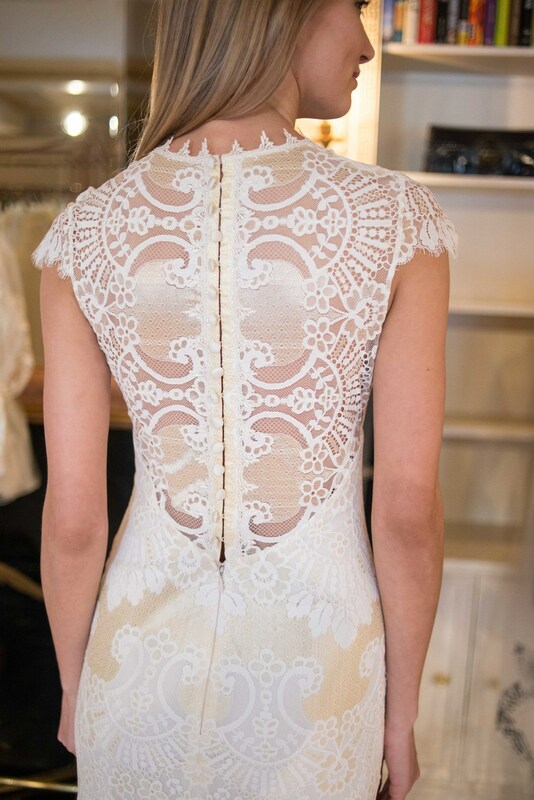 Call 303-814-8972 to view the current collection of Claire Pettibone Romantique in store at Little White Dress Bridal Shop in Denver!